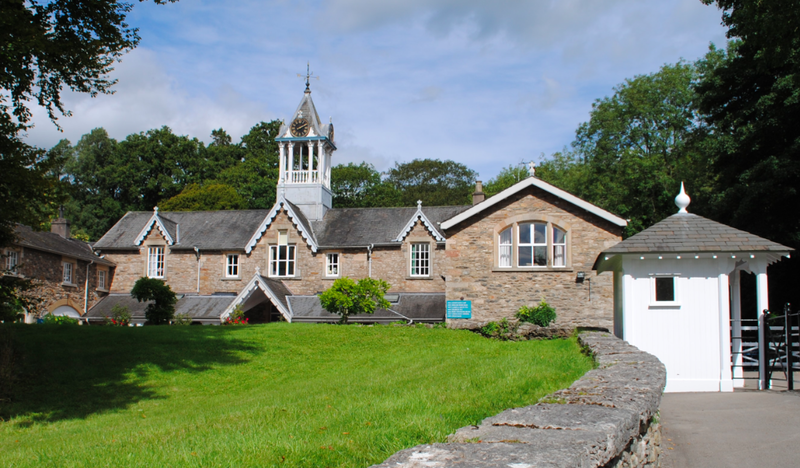 Holker Estate stands within the stunning landscape of South Lakeland and encompasses a large area of the Cartmel Peninsula. While Holker’s Norse origins may be lost in the mists of time, the earliest records of a house on the present site date back to the early 16th century. The estate formed part of the holdings of Cartmel Priory until the dissolution of the monasteries in 1536 after which, it was purchased by the Preston family who were already substantial local landowners. George Preston established his family at Holker in about 1610 and the current building dates to the early 18th century with various extensions and alterations. Lord George Augustus Cavendish inherited Holker in 1756 and engaged the architect John Carr of York. Carr made additions in an elegant modern gothic style to the east and north wings between 1783-1793 and also made extensive alterations to the grounds by replacing the Dutch gardens with a contrived natural landscape. Further alterations were carried out in 1818 by Lord George Augustus Henry Cavendish who faced the front of the house with Roman cement. Between 1838-1842 Lord Burlington (7th Duke of Devonshire) employed the Kendal architect G Webster who altered and refaced the entire house. Giving the building a gothic appearance, Webster added tall ornamental chimneys, gables, square-headed, mullioned and transomed windows and added a new kitchen garden, arboretum, conservatory and fountain. Disaster struck in March 1871 when the entire west wing was destroyed by fire. The destruction was devastating with many of the contents and principal rooms lost forever. The 7th Duke began plans to rebuild the west wing on an even grander scale and employed the architects Paley and Austin of Lancaster. 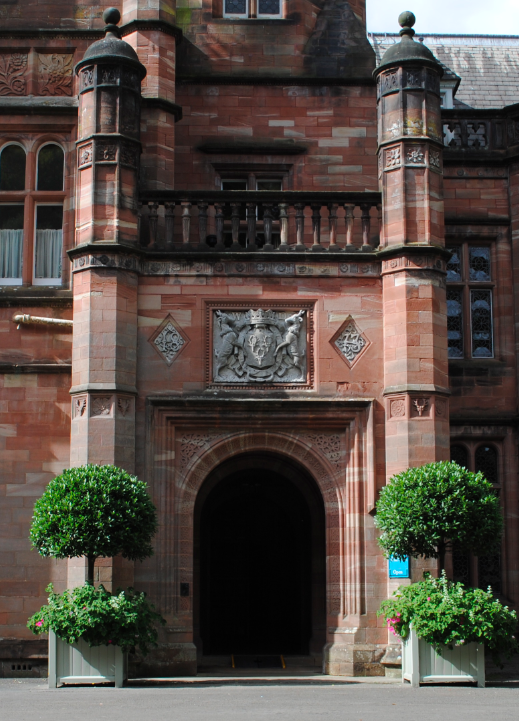 Covering the same site as the previous wing, the building was constructed of red sandstone in the Elizabethan style with the addition of a projecting bow window, a high roof with dormer windows, square parapeted tower and a copper cupola. Despite emulating Elizabethan architecture, it remains unmistakably Victorian and a wonderful reflection of its age. The principle building is constructed of roughcast stone with ashlar dressings and features a first floor sill band and modillioned cornice. The courtyard reveals varied fenestration with a projecting Doric entrance porch. The building also features a two stage octagonal tower with ogival cupola and an octagonal open cupola on square base. 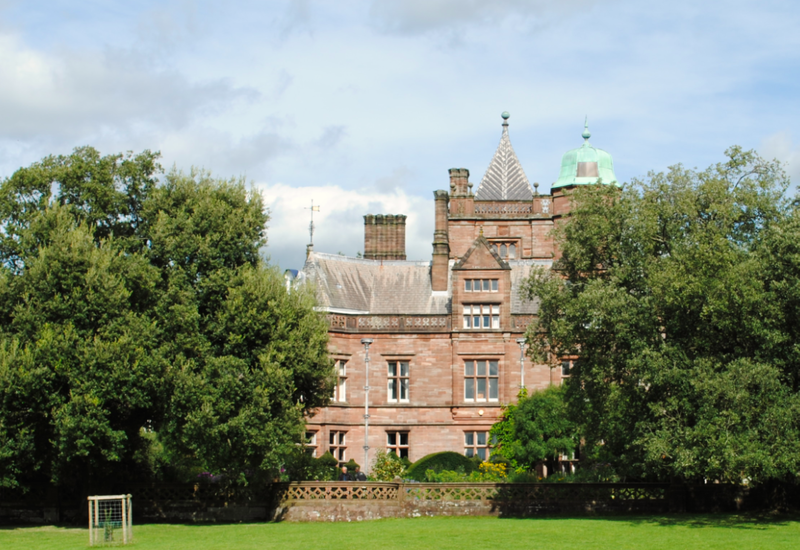 Holker Hall is Grade II* Listed. The Grade II Listed stable courtyard (above & below) dates to 1864 and is constructed of stone rubble with ashlar dressings. The two storey buildings feature decorative bargeboards and a central open timber bell turret with a pyramidal roof and four face clock. 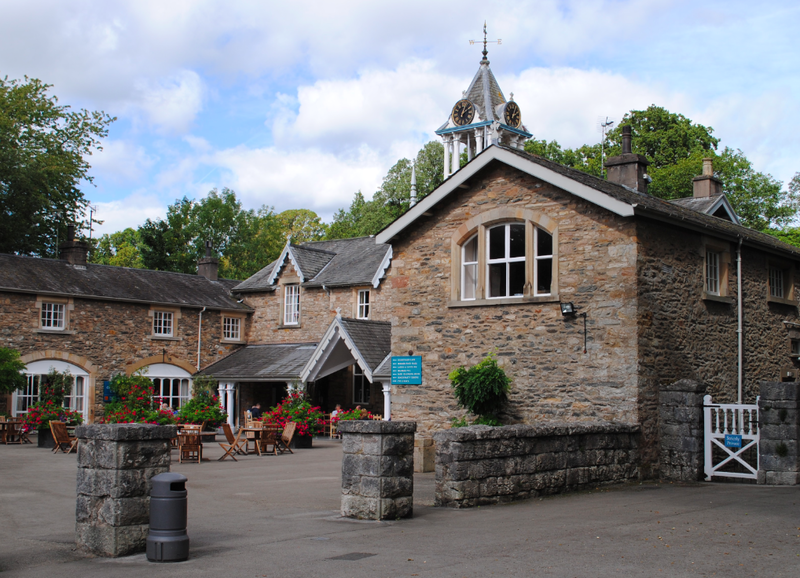 The wings feature segmental-headed coach house doors and the buildings are now home to Holker Food Hall, offices and a cafe.